Add pasilla to hot chicken broth (cut pasilla in half if desired). Cover and let stand 7 to 10 minutes. Remove from broth, reserving. Finely chop pasilla. In 12-inch nonstick skillet, heat oil over medium-high heat. Cook garlic in oil 1 minute to 1 minute 30 seconds, stirring frequently, until garlic is golden brown. Remove garlic; set aside. Stir in potatoes; cook 3 to 5 minutes or until light golden brown. Stir in pasilla and broth. Reduce heat to low; cover and cook 5 to 8 minutes or until fork tender. Stir in salt and lime juice. Serve. Not enough heat? Add 2 pasilla chiles instead of 1. If seeds remain in broth, strain it. 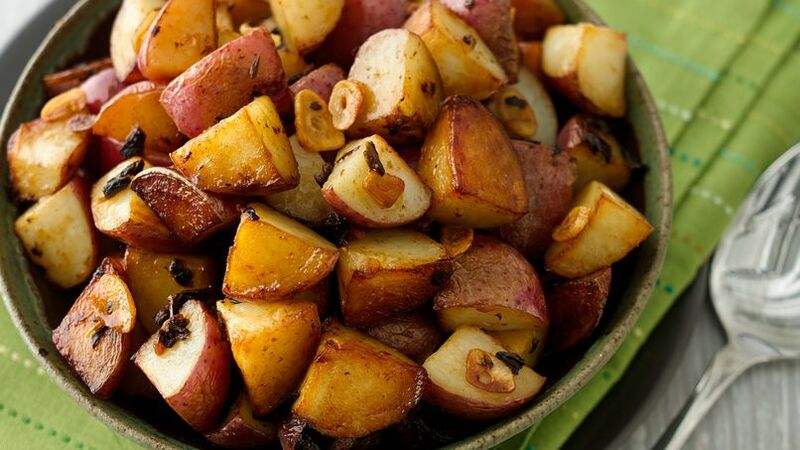 A delicious side dish good for all seasons. This dish will add heat and flavor to any chicken or turkey!